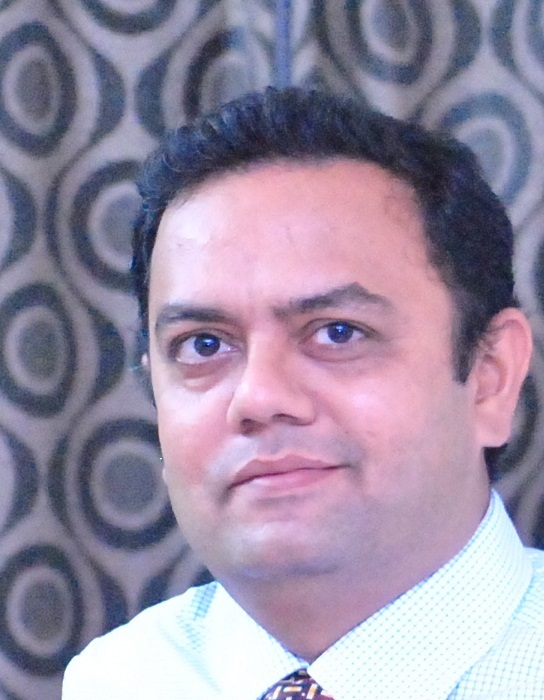 Ashok Kumar C. S. is a Industry Principal with Infosys’ Digital Process Automation Practice. He is responsible for Digital consulting and delivery of strategic initiatives leveraging the technology areas of enterprise integration and business process management. Let’s begin with a simple example of what most of us have experienced at least on one occasion. You arrive at the grocery store checkout area and see almost equal number of people in line at each checkout counter? You carefully join the line which appears to be the shortest. But it is your line that moves the slowest, causing you to question your judgmental abilities. In frustration you silently scream “Why can’t they just have one common waiting queue to be fair to all?” The millions of dollars the store pumped in to state-of-the-art process automation and modern point of sale (POS) devices for faster checkout, misses the purpose of making the customer satisfied. Undoubtedly Customer Experience is important. A carefully optimized process and generously funded BPM initiative would still fall short of business impact if the entire customer journey is not considered. With the growing relevance of BPM in the Enterprise’s Digital strategy and the Social Strategy, there is a compelling need to look beyond traditional Process Maps and Case models to more Customer focused constructs like Customer Journey Maps. There are multiple tools and constructs that are relevant and let us understand the essentials of a few critical ones: Process Maps, Case Maps and Customer Journey maps. Process Maps are usually a representation of the tasks participants, and the business logic that helps to achieve a set of business outputs. Case Management is also a widely popular method. It provides a good top-level view of the business transactions itself and analyzes the work as it moves through stages or milestones. Case and Process are inter-related, where ‘Case’ is the business transaction on “What” we want to accomplish and Process is the view of “How” to do it. A Customer Journey Map is a tool that helps organizations look through the lens of the Customer and provide an “outside-in” perspective. It maps the customer’s journey through the various touch points or lifecycle stages, identifies the experience, and provides insights on where the experience can be improved. It helps to discover the softer aspects of business transactions like impressions, emotions and feelings at the various stages. Why are Customer Experience and Journey maps important in BPM? Broader Canvas for Process Transformation: Traditional Process Improvement techniques help us discover the inefficiencies, problem areas, limitations, improvement opportunities that exist within the boundaries of system and process. The levers employed are around process automation, manual task elimination, self-servicing etc. Which are primarily inwardly focused. The Customer Journey Maps help identify the low points across the Customer lifecycle. These are much more impactful and transformative. Provides “Outside-In” View: The process maps provide a transactional view of the various tasks, logic, input and output and is more inward facing. Whereas, Customer Journey Maps are much more inclusive and provide an “Outside-In” view of organization processes through the customer’s perspective. It includes participants and factors beyond the organization like social media, third party searches, family and friends, etc. Helps focus on Emotional Innovation: Journeys help us analyze the softer aspects surrounding the process, which are things like Sentiments, Impressions, Thoughts and Feelings at the various touch points. It helps identify the high points and low points which are critical for success. Includes Upstream and Downtown stages of Transaction: Process maps usually start from the point at which a customer order is received. Customer Journey tries to analyze the upstream journey; how the customer builds awareness of the product, how he researches the options, how he reduces his choices, and finally, how he places his order. It also attempts to track the vital post transaction stage of feedback (E.g. social media discussions). Direct impact on Business Returns: A positive customer experience is not just a feel-good factor for business but is also associated directly with Customer Lifetime Value and related Revenue. It also attributes to the significant savings due to decreased spent in marketing due to increased loyalty and advocacy. What is Design Thinking and how can it help? A positive customer experience is unarguably a vital differentiator for the Business. Multiple studies have shown that more than 80 % of the customers would pay more for a product or service for a better customer experience (1) . For Internal customers or users the experience is equally important to ensure that they efficiently resolve work, achieve productivity and in turn impact end -customer satisfaction. Design Thinking (DT) is a framework that fosters innovation with a human centric approach. In this framework, the source for innovation is through direct observation of people’s experience, likes, dislikes, feelings and emotions in their day-to-day life. The Design Thinking starts by putting customer in middle of everything, empathizing with them, encouraging diversity of viewpoints and background, and describing their journeys. DT helps bring to the forefront the core emotional innovation aspects related to Customer Experience and later on, applies the filters of feasibility (technical) and viability (profitability).